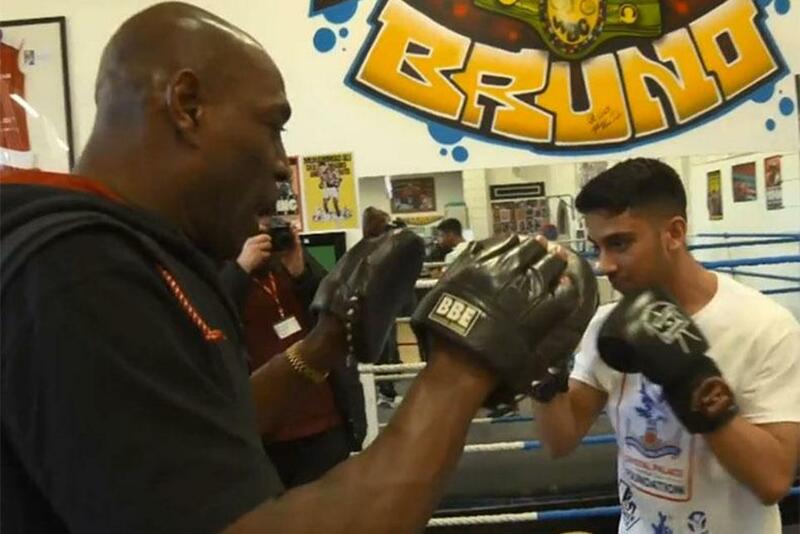 Former world heavyweight boxing champion Frank Bruno was back in the ring recently to see how the Premier League 4 Sport initiative is helping young people to develop a sporting habit for life. The 54-year-old was on hand to take part in drills and speak with youngsters taking part in a programme run by the Crystal Palace Foundation for a Match of the Day Premier League Community Feature. "It's so nice that Crystal Palace and the Premier League are getting involved," Bruno said. "[The young people] are learning about discipline, manners, respect and not being a bully." He was joined by Crystal Palace midfielder Hiram Boateng and Under-21 player Jacob Berkeley-Agyepong at the Frank Bruno Boxing Academy in Orpington.